I have been using Firebug Firefox plugin. This is a really useful tool, and I would definitely recommend this for anyone who is interested in Web development. If you are new to this tool, I suggest that you go through this article, as a good introduction. I have captured a few scenarios where this proved useful to me. 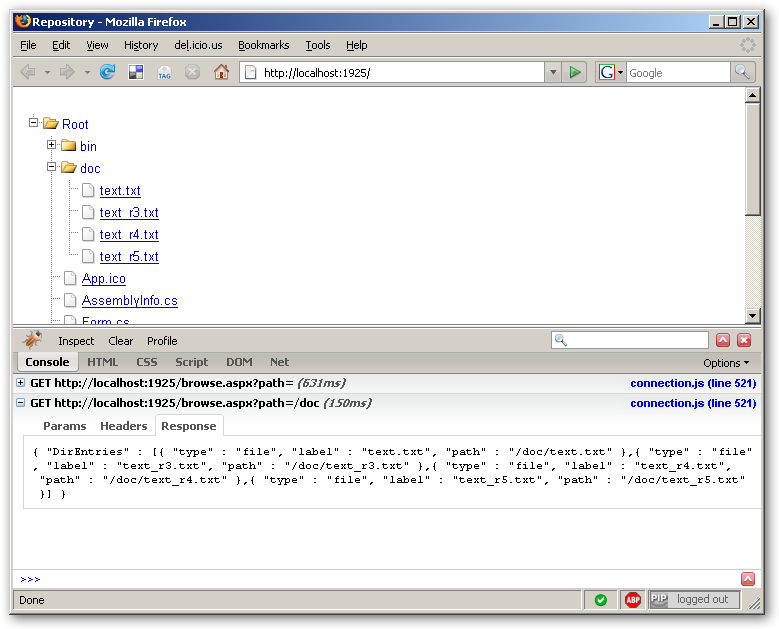 As you can see, you can easily put break-point and step through .js loaded in the browser. 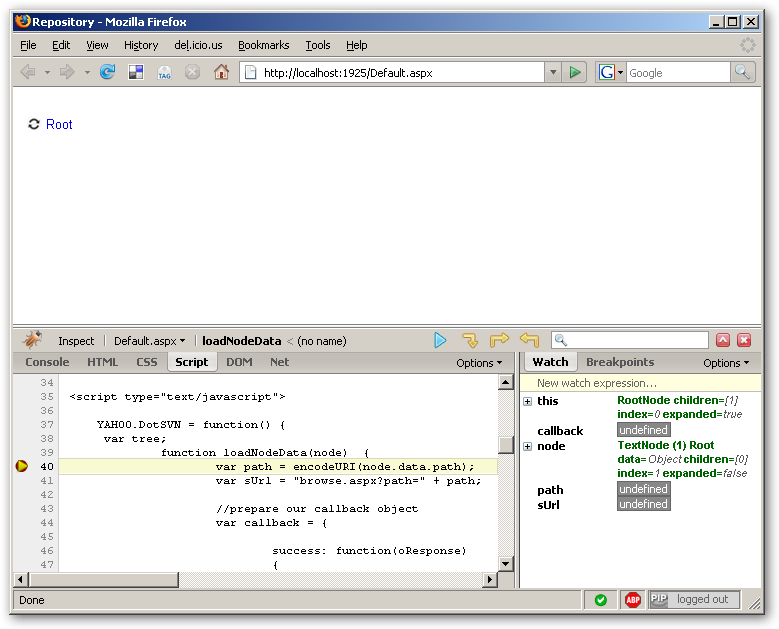 FireBug can present a time-line of the various resources downloaded to render a given page. This is very useful for understanding performance issues with a page. With this feature, we can track the actual request and response between the browser and server. I used this feature to track the JSON response from the DotSVN server.